Shabbat shalom! Today, I am grateful to gather—we who call God many different names, and we who choose not to call to God at all—I am grateful to gather together with you! This season, in our sacred text, the Jewish community reads the story of the Exodus from Egypt. Our redemption story begins with women. Midwives birth our redemption. Overworked, underpaid; but powerful and brave. How do we know redemption has begun? We see the courage of women. And our redemption story culminates with women. When we cross the Sea of Reeds to freedom on the other side, “Miriam the prophet takes her timbrel in her hand, and all the women go out with her in song.” How do we know redemption has come? We hear the voice of women. 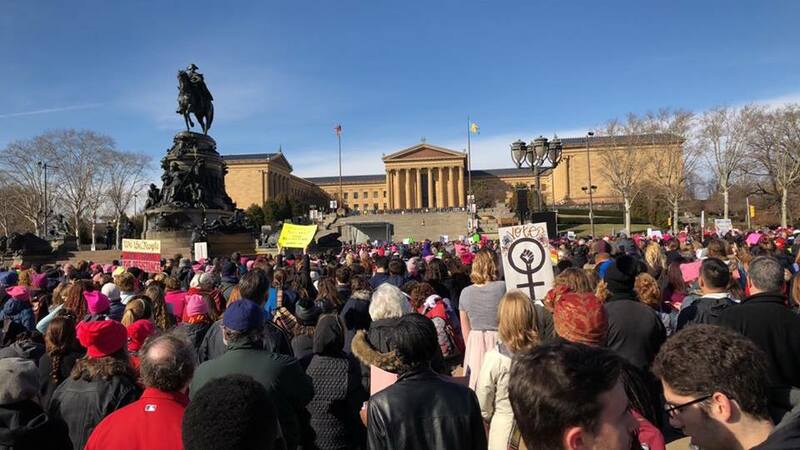 In our own time, brave women have birthed the next wave of the movement. Women’s courage and women’s voice are leading; women and men are following in partnership. Delivered by Rabbi Jill Maderer, Inauguration of Mayor and City Council, The Academy of Music, 1/4/16. 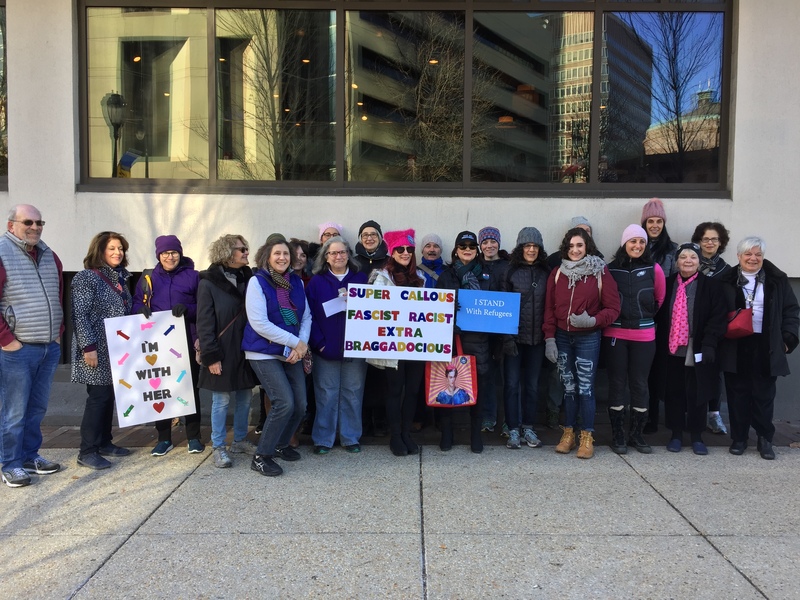 Today, we who call God many different names, and we who choose not to call to God at all, we Jewish, Christian, Muslim, Hindu and Buddhist, Philadelphians of diverse neighborhoods, races, sexual orientations and languages – today, we do not take for granted this peaceful transfer of power we call democracy. 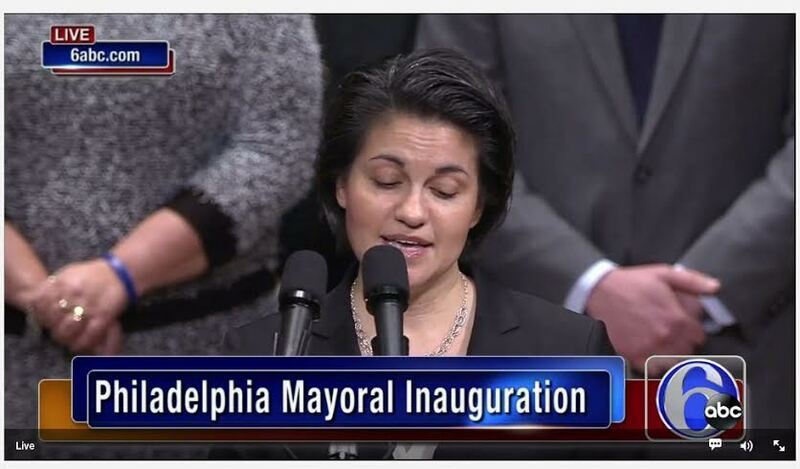 Grateful for the past leaders who have renewed our city, and for the incoming leaders who are dedicated to the promise of our city’s future, we rejoice in a Philadelphia whose murals open our hearts, whose culture stimulates our minds, whose food delights our palate, whose diversity inspires our souls and whose history deepens our roots. This week, the Jewish community read in our sacred text the story of Moses’ call to leadership. Tending the flock in the wilderness, Moses notices the bush that burns, but is not consumed. When Moses sees that he is standing on holy ground, God charges him to lead the Israelites, saying: “Now go, I am sending you.” Humble yet courageous, strong yet compassionate, sensitive yet visionary, Moses heeds the call. He cares for and empowers the poor, uplifts the degraded, and sees dignity in the eyes of every human being. Fortify and inspire our leaders with humility and courage, strength and compassion, sensitivity and vision, that they may care for and empower the poor, uplift the degraded, and see dignity in the eyes of every human being. Ignite within our leaders fires – fires for justice and for mercy – ignite within them fires that burn, but are not consumed, that their actions may bear witness to the holy ground on which we all stand. 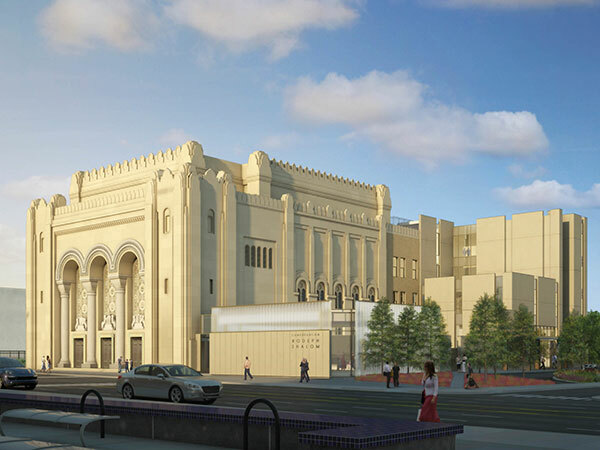 In addition to the name Congregation Rodeph Shalom, the front of the building expansion will include a purpose-driven quotation from Jewish tradition. We value your ideas and hope you will participate! Please submit your suggestion to the clergy and leadership through Charlene McDonald at cmcdonald@rodephshalom.org. You are currently browsing the archives for the Jewish Philadelphia category.